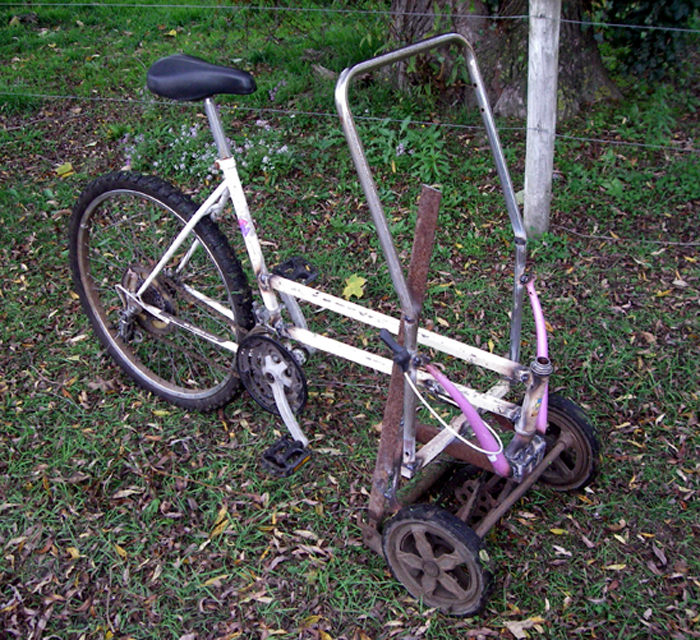 The Pedalmania Lawnmower bike, available for hire, it has a huge back cog which means it has low gearing. There is adjustable height on your cut......no brakes at the moment!!! Recommended for flat ground only, as its a bit tippy with such a narrow front, it cuts but its more of a novelty as its hard to do corners. The best pattern to cut is overlapping circles....you just have to figure out how to make it fit your lawn.....lots of fun!!! !